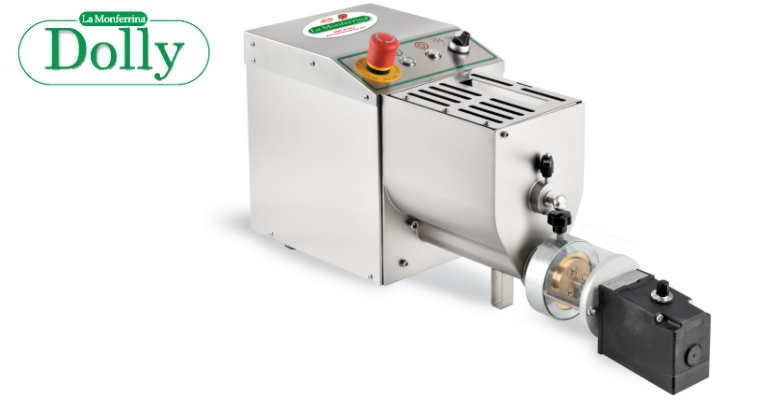 DOLLY is a small “counter top” machine, compact and reliable; it is suitable both for restaurants and for people who like good home-made pasta. DOLLY can knead by using any kind of flour and it produces long and short pasta shapes by simply changing the die. The machine can be supplied (on request) with a rotating cutting knife for short pasta shapes.